Major sporting festivals, such as the Olympic Games, continue to change both at the core and the periphery. Changes at the core include the inclusion of new sports and nations in the Games. How the Games are mediated, consumed, interpreted and what happens on the fringe of the Games represent some examples of changes on the periphery. Since the 1980s, there has been a proliferation of Centres for Olympic Studies, mainly based at universities. They have contributed to an informed analysis of the Games and its operations, thereby extending Olympic dialogues. Olympic hospitality houses have also emerged at Olympic and Paralympic Games in the last few decades creating new spaces, partnerships and new options for fans. 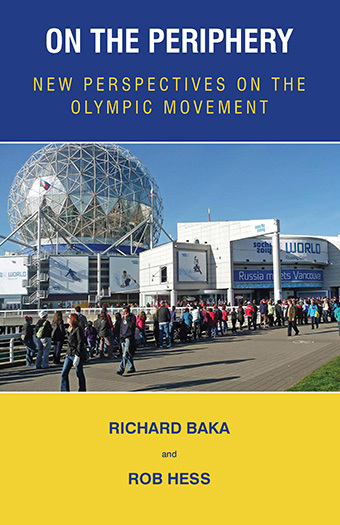 Case studies examine sports, institutions and movements on the periphery of the Games and consider the increased role of volunteers. Looking at the Olympic Games from the periphery presents fresh insights and poses new questions about this sporting festival. Richard Baka and Rob Hess are both based at the College of Sport and Exercise Science at Victoria University, Melbourne.